(Here's the notebook set on a file folder to give you a better idea of its size: 7.5 x 9.875"). Inside the front cover I adhered a year-at-a-glance calendar for handy reference (a printable found online), and the first page (a bit blurred out for privacy) serves as a title page, with my personal and emergency information (name, address, email, phones, kids, who to call ...). I named my planner "My Yearbook," but I also like thinking of it as an almanac of sorts ... eventually filled with all my annual "doings" and seasonal observations. The next pages are for my New Year's planning ... a quote for our family "word of the year" and then an overview of monthly events - from recurring holidays and full moons, to things like inspection stickers, tax collections, and jury duty. Then I listed out my own personal resolutions (or "goals" as I prefer to call them) on the next page. Now we get to the meat of the meal! On the next pages we find my first seasonal planning section of the year (Deep Winter: January-February). On the left side I (washi-) taped a folded copy of my Deep Winter Overview, which I shared in my "printables" post. This is a breakdown of seasonal notes, things to focus on, each week. (There is space on the front of the fold for more notes.) On the right side I have a page for listing more practical concerns - household tasks, projects and goals. As you can see, I've only started filling in this section! The start date is noted in the top left-hand corner for reference, and the first column lists things I need to do sometime THIS week. On the very top lines I listed this month's housekeeping zone and the individual tasks to focus on that week. There are quotes peppered in the generous white space above the agenda - they reflect the week's seasonal theme (winter stars, here - warming drinks and birthdays, below). Weather and nature notes are scribbled along the far left margin. I leave a check next to each date as we move along in the week. Along the righthand margin (tough to see in these pics) I have the time ordered from 7 a.m. - 9 p.m. This allows me to write appointments and activities in the daily columns in a timely manner. Beneath the to-do list is a place where I can check off everyday repetitive tasks as I complete them. I had a post-it note for this in my domestic journal, but it makes sense to move it here. I started doing this when I had to keep track of medicine for my special needs son, and it helps remind me what still needs doing in my day. The next section of this column is for recording money spent through the week. In the Deep Winter section of my planner there are nine weeks (1/4-2/28) and one planning section for Lent. Here is where I will plan out our family Lenten journey and activities. I've allowed two spreads (page turns) for this project. In late August there is a planning section for Back-to-School notes. I adore that washi tape! A couple of pages for Hallowmass planning ... includes Halloween, All Saints and All Souls. And after the last week of the year (12/26-1/1) I have planning sections for: Blogging, Gardening, A Certain Party We're Hosting, Vacation/Travel, Gift Ideas and Miscellaneous Notes. I can add more tabs for projects as they come up through the year - there are plenty of pages back there! A note on the monthly tabs (which are made by Avery and are adhesive) - I place them on the page where the first of the month falls. So, the January tab is placed on the weekly spread for 12/28-1/3 and the March tab is on the spread for 2/29-3/6, etc. They lead me, not to the monthly calendars, but to where my weekly planning starts for each month. I'd love to hear your thoughts or any questions you might have, and I will be happy to talk more about my planner and seasonal planning in future posts AS WELL AS during the planning chat I'm doing with Mystie and Jen on Saturday! That's just two days away, so don't forget to sign up! You can listen in live (and ask questions) and/or watch the video after it's recorded. 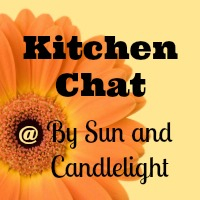 We're meeting quite early to chat - 10 a.m. EST! - so you can be sure I'll have a mighty large cup of coffee in hand! It should be such fun! Planner Party Guest Post Number Seven: Tanya! Hello Dawn! Thanks for hosting this planner party! First, I must say that I feel as if I am floundering along this autumn. I’ve cobbled together some plannerish things but by no means is my system complete and I have found that things are falling through the cracks as a result. Two of the three systems I’m going to share are working….one decidedly is *not*! The first thing that is working is this little daily planner page. I made it up for myself while Steve was away for five days. (I was solo parenting and quite desperate!) Since then, I’ve adopted it wholeheartedly and (other than wishing I could pre print it) it continues to work well for me. I modeled it a bit after your homemade planner but tweaked it to work for my family. I love having a column for each child. Two of my kids require therapy and medications so it’s helpful to see them all laid out for me in the morning! The other part of my planning trio that is working is my lesson planner. I used an inexpensive coil bound book and used it to plan lessons. This has been SO helpful. Especially when I have been able to preplan a few weeks in advance. I’m careful not to plan too far ahead as often my son’s chronic illness will dictate how much work we are able to get to each day. I love having everything set out for me though! And the part that definitely isn’t working for me? My wall calendar. It makes it easy to see what appointments are coming up but it isn’t doing the job I need it to anymore. I’m definitely at a point where I need a proper paper planner rather than only the wall calendar. Thanks for hosting Dawn! I’m looking forward to learning from others and gleaning some great ideas. Tanya, you and I have "talked shop" a lot through the years, and we are often on the same "page" so to speak. :) Like you, I find myself floundering this autumn and some things are slipping through the cracks ... I feel like it's my own fault because if I could just stop being so picky and just stick with something - even if it's not exactly what I want - I'd do so much better overall in keeping up with ALL THE THINGS ... but there it is. So I thank you for sharing your planners with us, Tanya! They look very much like things I have going on at this time! There is just something about putting our own pen to paper that creates a more meaningful and workable planner ... even when my head get turned by professionally made planners, I truly love the homemade ones best! Now, I really love clipboards - I think they are perfect for daily planning as you show above. And they're so portable. I still like my Day Designer planner, but I don't care for how heavy it is - I don't really feel like grabbing it if I'm heading upstairs or if I'm going out somewhere. It's just a bit took bulky to come-with, so I tend to leave it on the counter ... but a clipboard is so easy to tote around - and clip things on if you need. Right now my clipboard holds my master to-do pages as well as our weekend POW pages. (Something we can all work off of all weekend.) Basically, I think clipboards are brilliant and much underused. As for the wall calendar - I had one on the fridge but Earlybird commandeered it, lol. He wanted it on the December page AT ALL TIMES so we could see when his birthday was. (As if I'd forget!) I finally took it down and hung it out near his play area in the family room. I like having a large monthly planner that all the family can refer to when we're making plans or kids/husband are wondering what's going on when. Great food for thought, Tanya! Friends, what say you? As I am working on my next-week plan I realized that November 1st is just ONE WEEK away from this Sunday! Which means I need to get my gratitude project in order if we're to start on the first of the month. (Our remembrance altar as well.) So this weekend I've made a note to finalize a design and pick up any supplies I need. Next week I'll get the projects pulled together in my "spare" time (ha!) and hopefully be ready to roll on Sunday morning. Planner Party Guest Post Number Five: Mary! I currently use the Motivated Moms chores calendar - I print out the day-by-day pages, hole-punch them, and divide them into four binders (with three months in each binder). Also in each binder go monthly decluttering calendars from Home Storage Solutions 101. I was inspired by your 'Book of Days'. I like this calendar because it gives me a daily schedule area and lots and lots of room to write! I keep it open on the kitchen counter and co-ordinate it with my 2 other calendars. I also keep a daily/monthly planner in my purse that I purchased at the dollar store, and a calendar on the wall by More Time Moms, that I buy every year at Costco. The Motivated Moms Chore Planner printable chore list is an e-book to be downloaded and saved to your computer. You can then either print the full year out at once, print a week at a time or just view it on your computer. These printable chore lists are just what you are looking for if you need to know exactly what to do each day in your home and love to be able to check items off a list to feel that sense of accomplishment. I am very happy with my system, and maybe it will help others. I do a little decorating with Washi tape and stickers, but I try to keep the pages clean as I refer to them for addresses, phone numbers, etc. There are pockets in the binders, so I store papers in there as well. Mary, I love the straightforward simplicity of your planning system - and I also like the way you divide the days into four binders (like seasons). Makes perfect sense! I also relate with the way you keep your planner open on the kitchen counter - it's where I can be found much of the day! - but like others, I fret about spills! "... if you need to know exactly what to do each day in your home ..."
So I LOVE the idea of keeping all of it in one place. The to-dos and the tasks and the agenda and the dinner plan. I'd also add if I could, lesson plans, blogging, faith at home, nature study - but I know that's cramming a lot into one daily space! Still, a girl can try ... and try ... and try! But now I'm kind of taking over Mary's post so I will wrap up and leave it to you, dear readers! Please leave Mary a comment if you have a moment and let us know if you've tried Motivated Moms or if you use a daily planner that incorporates all those housekeeping chores that might not otherwise get done. We're eager to hear from you! *And remember, I'm still accepting planner posts! If you'd like to send me pics of and/or thoughts about your planner, you may do so at the address below, and I'll add you to the queue! Planner Party Guest Post Number Four: Amy! This is so exciting. Thanks for this invitation! How fun - like my own little blog post, as I get to explain to you just how and why my planning looks the way it does at this time. First I will show you my wall calendar. We have had this system for many years, at least 7 or 8 at this house and I can't remember when I began doing it this way, but the important part is that it shows three months at a time - usually the current, and two upcoming months, though sometimes I don't update so fast and we have the previous-current-future instead. For years I had two 12x12" heavy-duty, somewhat-glossy card stock sheets attached to the wall to create a 12x24" rectangle background, and the calendar pages were held onto that with tape rings on the backs, but that was tedious, and then made saving the old calendars a pain: you have to remove those tape rings so the old pages don't stick together! But at least the tape peeled off the semi-gloss card stock easily so I could quickly take down the old pages, move the current ones upward, and add the new ones at the bottom. However, every summer the papers AND the card stock would curl so badly from the humidity! Between that, and the tape hassle, I finally had my husband install a piece of sheet metal. Now I use magnets to hold up my calendars. What is funny is that I had the magnet idea years ago, and we talked several times about going to pick up a piece of sheet metal and cutting it to size; then, just as we finally got over the hump of indecision (really, just being too busy with all the other small - or extra-large - projects we always have to do) and ordered the sheet metal, we were able to get just the right size (12x24") from Amazon, AND my very next trip to Joann Fabrics revealed that they, too, were selling these pieces of sheet metal! Some were plan, others were filigree. I have been printing my calendar pages from WaterproofPaper.com for years; I think before that I might have gotten some from DonnaYoung.org or elsewhere. It just occurred to me yesterday that perhaps I should have seasonal magnets instead of this random assortment of whatever isn't needed on the fridge. Wouldn't that be nice? Oh, just a note, the clock on the wall used to be a "Maine" thing around here; a local family used to make these "Fox clocks," there were at least a dozen designs, all of them from that kind of 40's diner era. I am fairly certain that they also were a homeschooling family! They don't make them anymore, very sad. I always love it when I walk into someone's home or business and spot one of these clocks - they are unique, local, and becoming rare! We've had ours for 12, maybe all 13 years that we've lived in Maine and just this past year someone knocked it off the wall and we lost the glass. It still works, I will just have to be careful about dusting it more often! And then, you will probably appreciate this: yes those are two thermostaats on the wall. :) (This is also just about our only kitchen wall, 2.5' wide, as most of our kitchen is taken up by windows, exterior doors, and interior doorways - what a pain.) We have the old thermostat from the old oil system, which we had replaced a few years ago. Above it is the new gas thermostat. And we have 3 zones. That is on top of the wood stove in the living room and electric on the third floor... we have an interesting and ancient house! Oh my, this is so long! No wonder I don't blog anymore, sheesh! A number of years ago I switched to Michelle Quigley's beautiful Catholic dayplanners (and I used a few others too that were less expensive than the Franklin products) but eventually I got tired of nothing seeming quite-right. So I made my own, of course. This one I started in January. I've had a couple of other iterations in the very recent past few years. This one in particular is a Canson sketchbook and I like it for the thickness of the paper and also because it is book-bound. I found that the spiral-bound planners would get caught on things in my purse/bag, if/when I took them out with me. And the binder-style ones are just so thick and cumbersome. I've got a couple of photos here of my monthly pages, and I leave a blank page behind each month for who-knows-what, maybe a phone number or a prayer or a birthday idea etc. I leave a few pages after Dec. for Christmas planning and card lists. And I always have the current and future year-at-a-glance calendars pasted in somewhere - usually the only thing that I print and glue in. You can't glue in too much or else you strain the binding, and I do want to leave just a little space in case of wanting to add in a photo or a bookmark or a sticky note etc. SO. I am sending you photos of my monthly spreads, and my weekly spreads. The weekly spreads I have tweaked so many times; this layout I found in one of the Franklin catalogs and I essentially copied it. It's called the "Five Choices" planner and I don't really know what the "five choices" are, maybe once I looked into it and decided those few extra encouragement pages wouldn't be worth the $28 when I could just fill in my own $10 notebook! I really just like the clean style of the layout, and this is one of very few that go horizontally across the top. The bottom half the the spread is reserved for my to-do lists, which are: do, call, comp(uter), and go(errands etc.). That's it! But like I said, I stopped using it abruptly at the end of the summer and I have something much simpler that is working for me right now. Ooooh I love what Cay says about adding to our favorite planner and helping us focus on what is most important. YES. A totally disposable, totally simple stack of papers in a mini binder clip. My main scribbling/planning/jotting/thinking spot is in my kitchen, standing at the breakfast bar, and at my house, that breakfast bar frequently has someone eating at it. And so any time I leave my planner there, it is at risk! Even though I don't think I had ever had any major accidents with it over the years, the risk is still very great (and case in point, just on Saturday I dumped a child's water glass onto my stack of papers and had to rewrite them... a first, I'm pretty sure... but there it is). So one problem is that I often put my planner "away" to keep it safe. Even if that means putting it into the family command center in the kitchen, or onto the kitchen table where there is actually less snacking and drinking, that is several steps out of my way, and not where I am currently trying to do my thinking. The other problem with the book-style planner (and this might sound ridiculous) is that you have to open the cover to get to the important/pertinent part! I know that sounds like no big deal, because we spend all day opening books to the pages we need, and my planners always have the month and week tabs easily graspable from the outside, so it's just one quick flip of the wrist to get to where I need to be. It's a step. And performing it many times a day does add up, and it does become an impediment. Now I have, at times, experimented with a list attached to the front cover of my planner, or a sticky note attached to the cover, but those don't end up working the way I hope they will. Okay, so now I am using scrap paper, which we have in abundance because of having printer rejects or just papers that got scribbled on one side, etc. I tear it into 1/4 size sheets, which is a little bit smaller than I would prefer a planner to be, but because there are no bindings or covers etc. to get in the way, it's working so nicely! And because it's so small and "disposable" looking, it ends up being rather private too. Nobody bothers to waste their time with it. Sometimes I have a totally urgent sticky note attached to my top sheet, reminding me that we really really need to cook the fish before 4pm, that sort of thing... because if it's not written down right under my face I am apt to forget that sort of thing. Beneath my top sheet, I have several longer-term sheets that I actually have stapled together, which helps me to understand that, as a group, I don't need to review them too often. A couple of times a week is fine. Each sheet is a little bit different, but basically I have a non-urgent shopping list that has things like a new belt for myself, a smaller crock pot, etc. just things I should keep a lookout for but don't need to worry about. And I also have a sheet of other long-term things I need to keep in mind, like I am starting to jot down Christmas ideas but that will probably become several full-size pages in my housekeeping/homeschooling binder which I am not going to bother to include in these emails, it is rather separate from my main calendar/planner habits. Oh, and the very last page I have in my binder clip is a little vitamin/supplement weekly chart. If it's there and can be checked off, I am much more likely to be getting those supplements! I have it oriented as a landscape so that I can easily flip it open 3x/day. This system is working so well for me - but honestly now that I've been talking about this stuff with you, I am tempted to try my book-bound planner again. It's just so very nice! The other two photos show the new (dry) stack earlier, and then later, during the weekend as I added more and more items. And since then I think I have re-written a clean list for the beginning of this week. Well that sure was fun for me! I hope you aren't entirely overwhelmed. I hope some other people are joining your party too! I guess my kitchen is pretty dark, we've got all southern exposure but some fools put a giant garage at the back corner of our house about 25 years ago and it blocks all the morning sun from the kitchen! And there is also a gorgeous sugar maple in our neighbor's yard, I have no problem with that, but until it loses its leaves it also casts shadows (which helps keep our house cool). Amy I can't even begin to tell you how much I enjoyed this post! I love - LOVE - your stream of consciousness and I also LOVE that you are as mindful and - ok, I'm going to say it, but I'm right there with you - persnickety about planners! Thank you so much for sharing not just your planners but yourself and your family life, too. I think you hit the nail on the head when you said that this current system is working so well for you ... and yet you feel pulled to go back to the book-bound planner. I am always in this situation. I find something that works well - maybe even really well - for me, and us as a family ... but I am constantly feeling pulled to something else that might appeal to me on a more aesthetic sense. It's a tough thing to balance! The three-months at a glance on the wall are fantastic - I really like that the whole family can see these calendars and that you have a "season" in view at a time. My whole fridge is taken up with a large whiteboard I use as a schedule for Earlybird, otherwise I'd be on this. And now our one big kitchen wall is adorned with three very large framed prints. They are so pretty and just what I wanted but there goes my wall space. Ok my friends, please let Amy know your thoughts and if you have any questions on her planners ... drop a note in the comments box below if you have time! Isn't this so fun? I am having SUCH fun with these guest posts and I hope you are too! I have several more to share so I hope you enjoy and I hope to see you here again ... tomorrow! Planner Party ~ Important Note! Thanks so much, and enjoy your Sunday, everyone! Planner Party Guest Post Number Two: Tracey! I thought I would share, as I am all about planners right now. I entered the world of Erin Condrin Life Planners and have finally found planner peace. I am a mom to three children and have a Etsy business so I need to be organized! But I also want to have memories, not just tons of to do lists. This planner allows me to be organized while also being creative. Here isa pic of this past week. I've never seen one in real life - only on Pinterest and now, happily, here. I think it might actually be a good thing that they are only available by ordering - not like I could stumble across them at Target - because I can ASSURE you I would be going home with one of these babies before you could say "cash or credit, ma'am?" Tracey, you've given us some very pretty food for thought! Readers, please leave a comment if you have time and tell us - are you a weekly or daily planner? I find it hard to commit to one over the the other! And before I go, I have some exciting news! Tracey has kindly invited my readers to use a special coupon at her lovely Etsy shop, Grizzlie, which features all kinds of knitted delicacies. Take a peek around her shop and, should you find something you like (which is quite probable!) 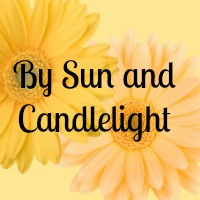 enter the coupon SunandCandlelight at checkout - you will save 15% on your purchase! What a treat! Thank you for this kind offer, Tracey! Planner Party Guest Post Number One: Kelly! Whew, that title's a mouthful, isn't it? Well, I couldn't think of a better way to say it ... this is a continuation of our Planner Party, but the words and pictures in this post (and the next eight to come) will be from one of my readers (in this case, Kelly), not me! So onward we go ... let's hear from Kelly! I began this planner in March of this year, I think after you published a bunch of planner posts. :) I had a vision and it evolved as the year progressed. In the beginning, I only created a month or two at a time so I could make tweaks as I went along. It’s October now and I feel the best about this planner than I have about any other I have used or created! I am currently brainstorming the layout and plan for my 2016 planner. I haven’t decided yet if I will create the whole thing at once (horrors in case I want to change anything!) or go 2-3 months at at a time. We shall see. It is a lot of work to create it from scratch but I am SO happy with it that it is worthwhile. This is the book I am using: Moleskine Folio Professional Portfolio. The photo you see below is my 2016 planner just waiting to be created! The top picture gives a good overview and the bottom picture allows you to see close up. There is a document on the right side of my weekly spread and that is my homeschool plan for the week. It is stapled over the previous or next week so that I still have access to the dates if needed, but is right there with my current week-at-a-glance. For each day of the week, I have the date, my husband’s work schedule, and any feast day or holiday. The next column shows any commitments I have out of the house so I know what I can and can’t plan to do at home that day; and next week I am adding a small “notes” column at the far right to write in prayer notes for that day and times to observe the moon or other tidbits like that. I think this will be a good column to add without taking away too much space for my to-dos. On the left is a small calendar just for noting special holidays and feasts that we will observe in some way. I am not using it to its full capacity yet; more to think on. Below it are seasonal notes for the month; if I clip anything from a magazine or anything like that, I just file it in my FCS and make a note of it here. I plan to add seasonal cleaning tasks to this page. The right page is my list of to-do’s for the month. I add them as I think of them. I also have budget notes and anything else I want to keep track of for the month. I will use a highlighter for any really big projects that must get done this month. Anything left undone at the end of the month gets transferred to the next month or dropped. This has helped me get so much done! This is simply a 3-ring binder decorated with a beautiful Victoria magazine cover! I have four sections in this book: HS (homeschooling); HH (household); Seasonal/nature; and Field trips. I spend two nights per week doing our homeschool plan for the next week (two nights so I don’t have to stay up so late either night). While the year’s plans are already made, this is the time to look at math and reading lessons and gather materials needed; gather liturgical/saint books to read; etc. I have a list of all of the areas I need to cover during my planning nights so I don’t miss anything. Once a week I do my household planning for the next week. I also have a list of areas I want to be sure to cover, for example, assigning days to do laundry and other cleaning (I am so weak in the cleaning area! ); updating our budget and/or paying bills; planning our family time if it won’t happen naturally; planning meals for the week (I do meal planning two weeks at a time). The seasonal/nature section is where I keep notes about what I hope we’ll study according to the month. Field trips? Places we can go - it helps to have them all handy. In addition to these, I have reference binders for several different things (homeschooling and others) but they are used only on occasion. With my daily and weekly planners, I really do feel that I am accomplishing a lot and keeping track of important things. Thank you for letting me share! Sorry this is so long. :) If anything is clear as mud, please let me know! Well, this is a lovely system you have - I like that you have a weekly AND a daily planner, because right now I'm trying to decide which is better for me and now I'm thinking - why not both?! :) Your Moleskin is designed beautifully - I've spent a good deal of time on Pinterest looking at Moleskin planners and bullet journals! Their efficiency and adaptability are perfect for planner-making! And I love how you have everything so well thought out, especially how you've scheduled "maintenance" times - which I think is a real KEY to success. I think so often we set up this or that system and then just assume it will go well ... but without taking time to sit down and actually manage the system - to plan and write things down and tweak and consider - the system won't really work for us. We need to take an active part in the planning - as much as I love planners, they aren't magical objects! We have to commit to our planners if we want them to be the best they can be! Thank you so much, Kelly, for sharing your planner with us here ... you have me eager to really think through my 2016 planner. How I can make it fit my needs better! My friends, if you have a moment, please drop Kelly a note in the comments box below! Is anyone else using a Moleskin notebook for planning? I'd love to hear about it! Enjoy your Saturday, my friends! I'll be back tomorrow with our next guest post!